His latest single “From Ever Since” finds the crooner making a trek in unfamiliar territory. “The song is about anybody who misses someone deeply. You might not see the person physically, but spiritually they are there,” Nanko explained. Josef Bogdonavich from Downsound Records feels that “From Ever Since” can be another breakthrough hit for Nanko. 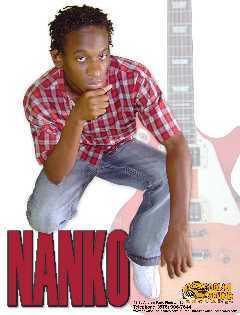 “Nanko has got a lot of really good songs waiting to be released and ‘From Ever Since’ is one of them,” said Mr. Bogdonavich. Nanko has seen his life undergo many changes since he hit paydirt when “Lucky You” took off. He is booked for a number of shows in the Caribbean as well as in the US. He has been in demand for several local and overseas performances and recently performed in Barbados. In April he will perform at Western Consciousness and in July he heads to New York for Carifest. You Won’t Want to Miss This - JahWorks.org Releases Version 3.0!